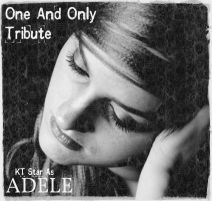 Looking to book Adele Tributes for an Event, Wedding or Special Occasion? I’m always open to new collaborations and discussions. If you’d like to get hold of me, use the contact form. Touring UK theatres for the very first time, Someone Like You is an immaculate celebration of one of our generation’s finest singer-songwriters. Please visit the “Someone Like You” website to book tickets.